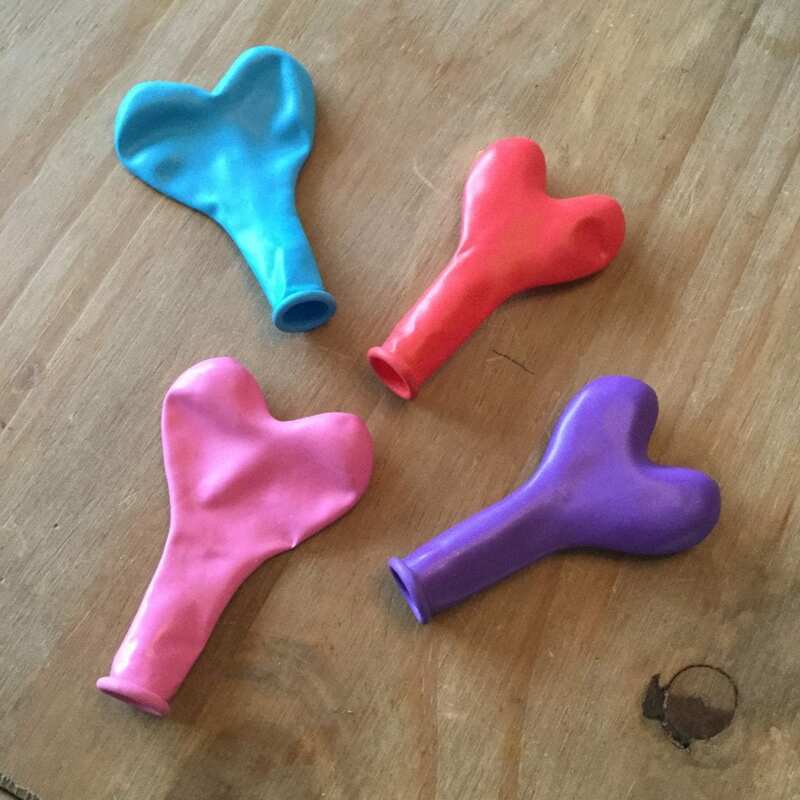 First blow up your balloon. 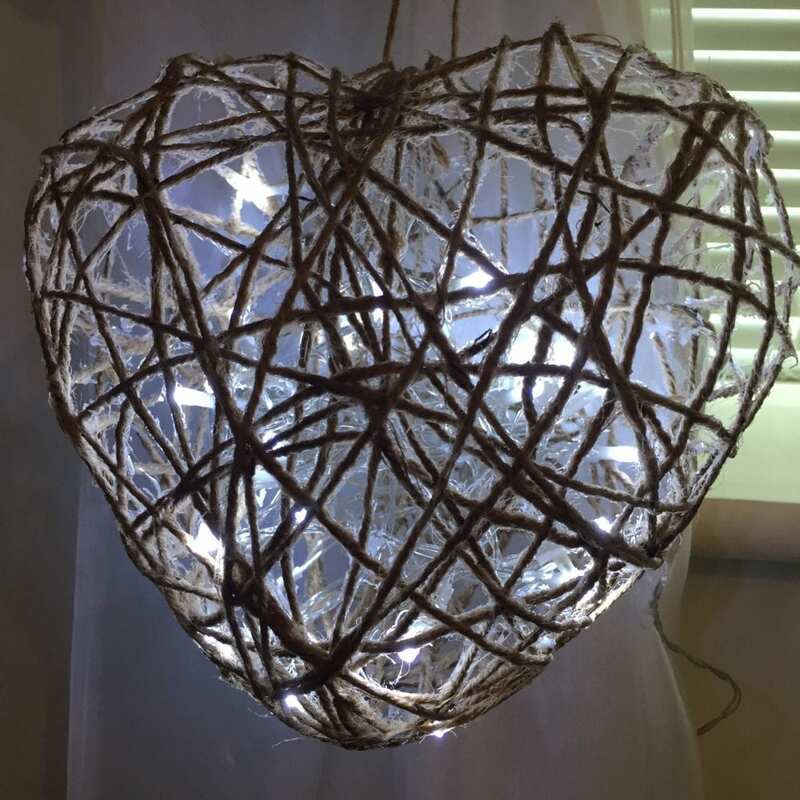 I bought these small heart balloons from amazon (link at the bottom of the post), as I wanted small twine hearts. 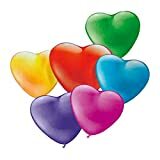 You can also use the large foil heart balloons that you can buy from greetings card shops if you want a larger decoration. 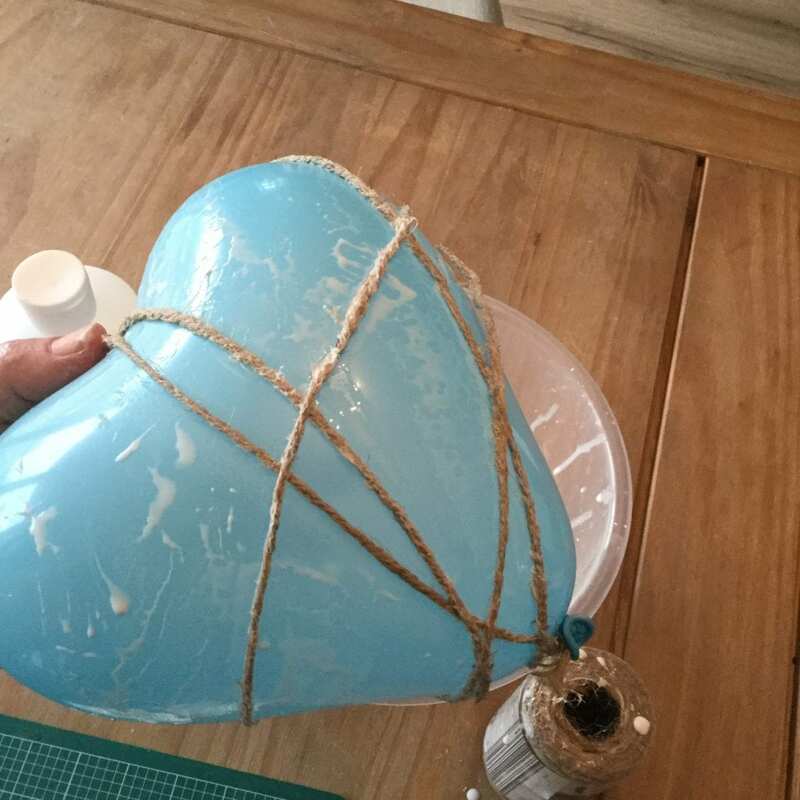 Pour a small amount of fabric stiffener into the bowl. 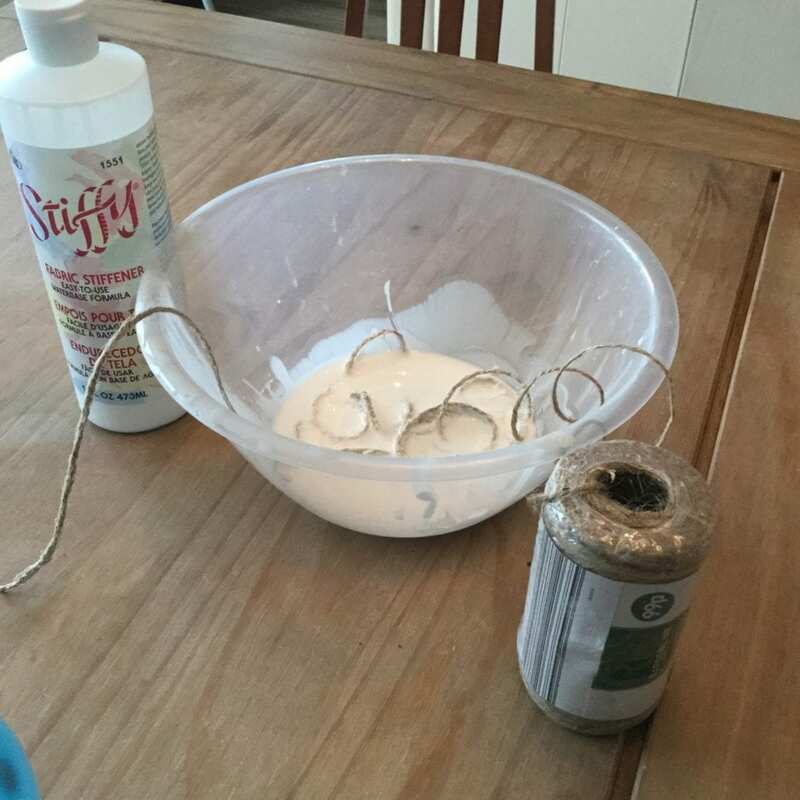 I used this ‘Stiffy’ fabric stiffener which I also bought from amazon. 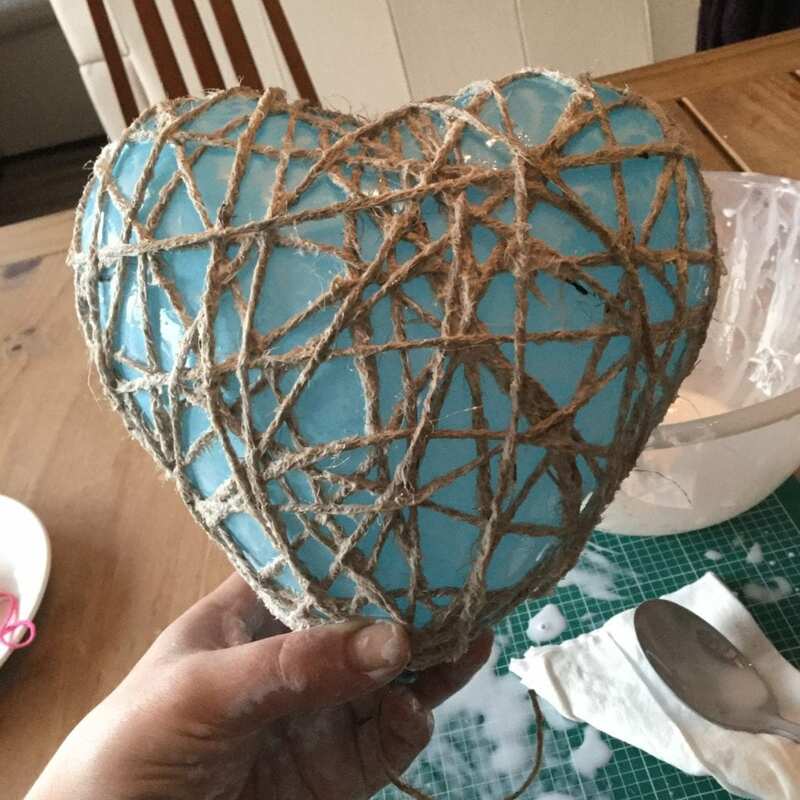 Keep the garden twine on the roll and put a small amount into the bowl soaking in the stiffener, leaving the free end accessible. 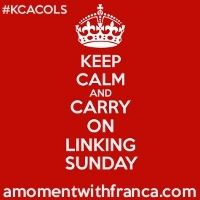 If you put too much in at a time you risk it tangling. 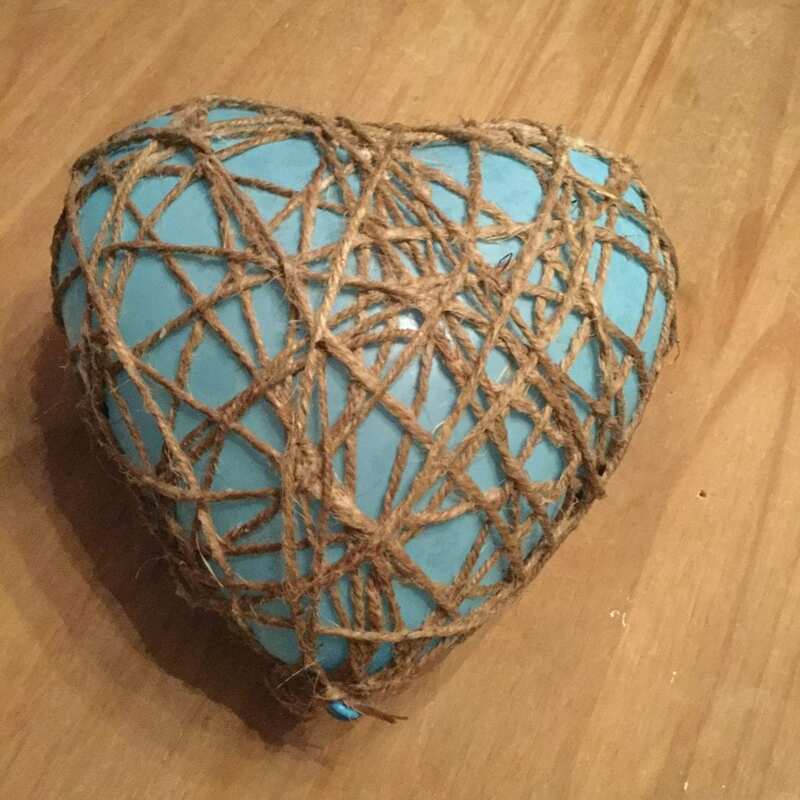 Tie the end of the twine to the knot of the balloon. 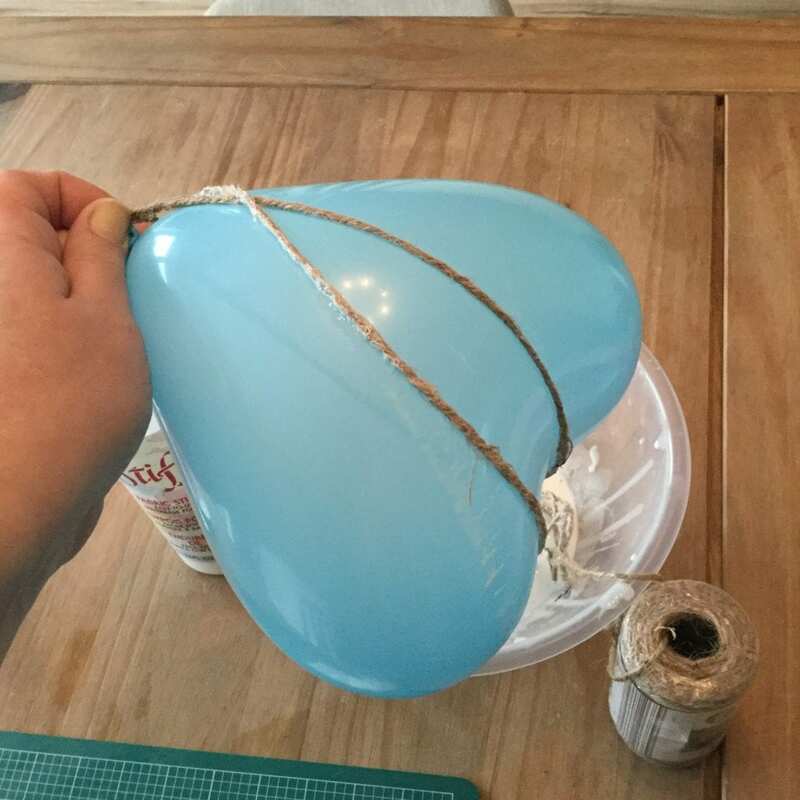 Then start wrapping the twine around the balloon in a random fashion. 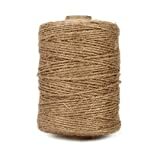 As you pull the twine from the bowl, squeeze off the excess fabric stiffner and put more twine in to soak. This sounds complicated but you can get a little rhythm going. It is quite a messy job, so it’s not a bad idea to have a wipeable table cover and apron on. (unlike me!). 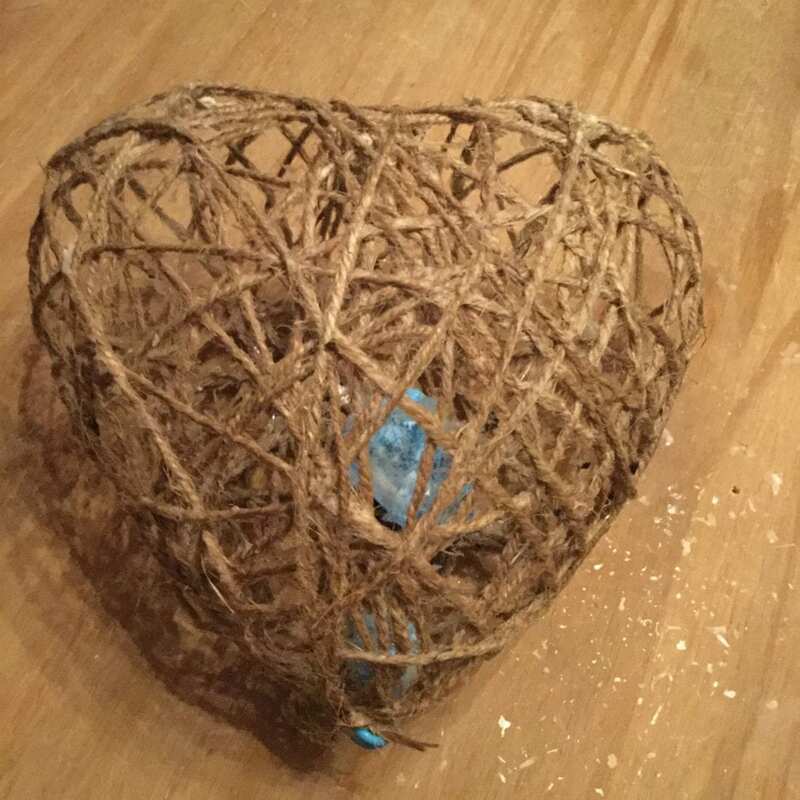 When you have finished wrapping your twine around your balloon, secure the end to the balloon knot and hang to dry completely. 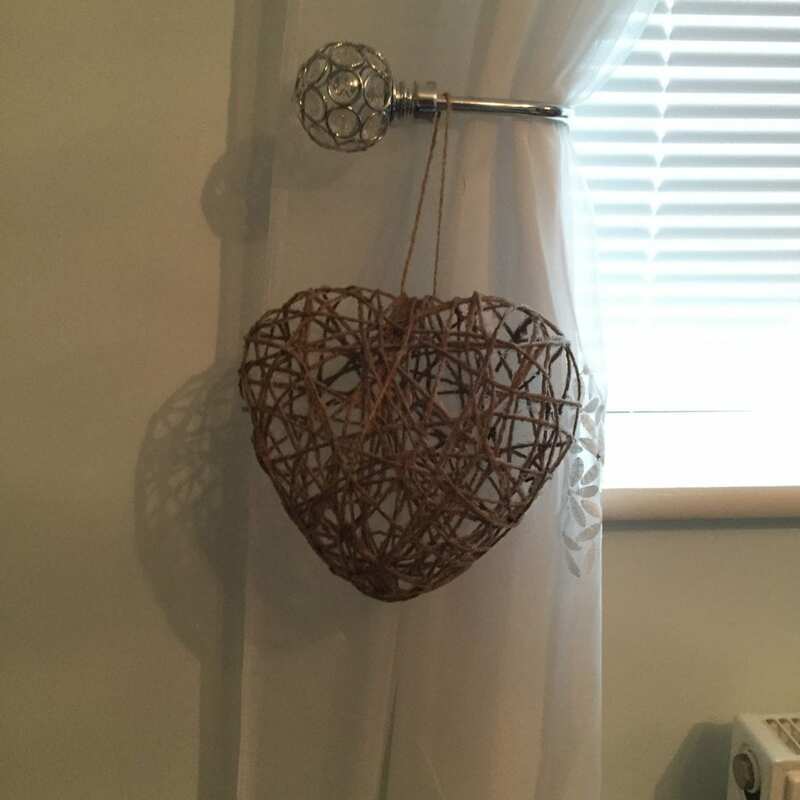 We left ours overnight, and used a peg to hang it off of a clothes airer. 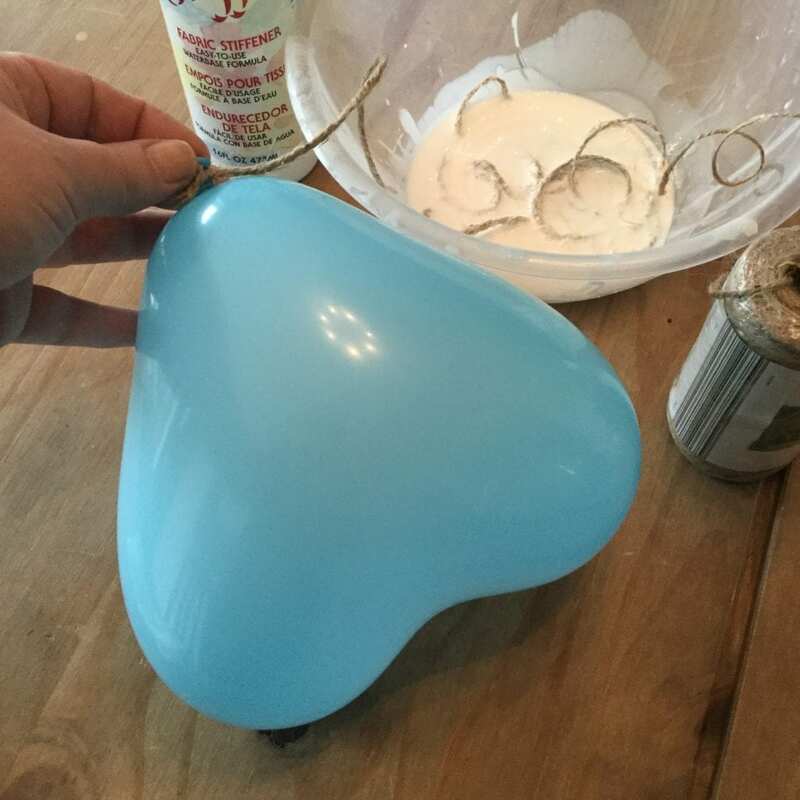 When dry simple use a pin to pop the balloon and remove it. Tails of the knots can be trimmed. 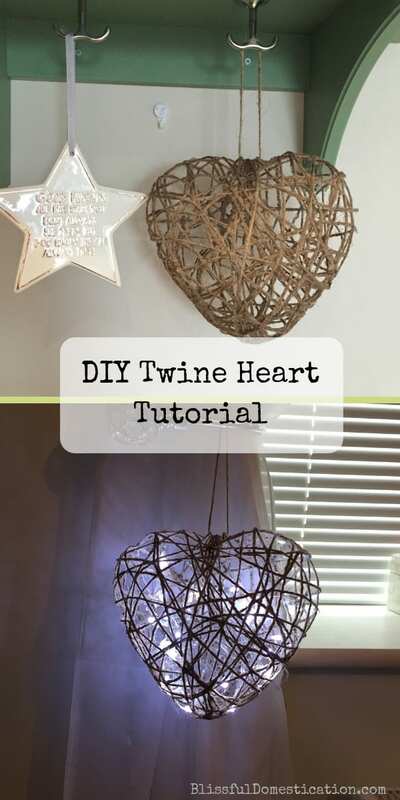 A simple loop of twine can be added so you can hang your twine heart, or you can push LED fairy lights into the heart for a different effect. That’s it! 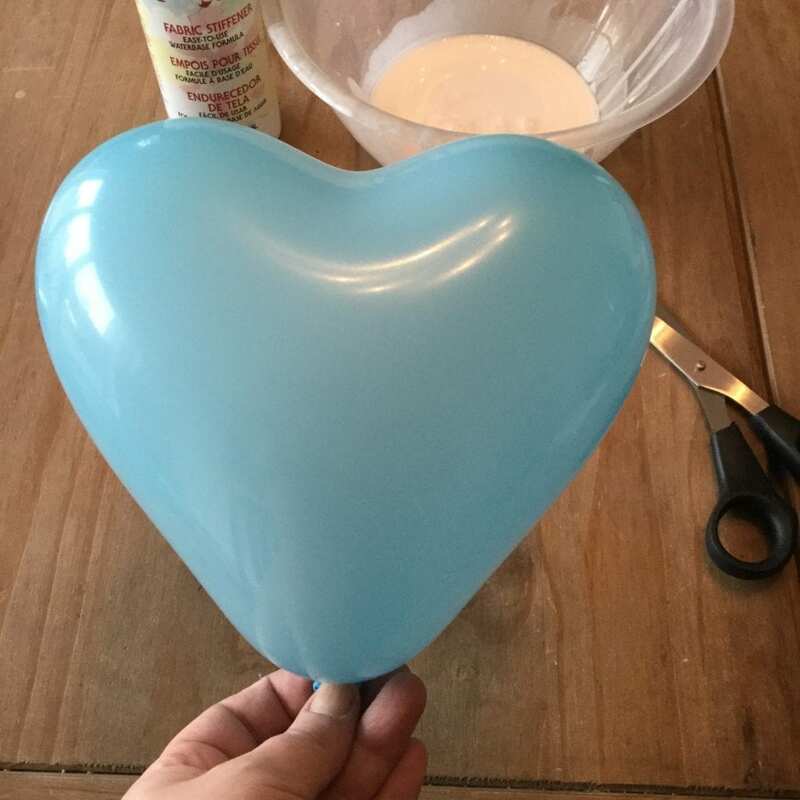 A very simple heart craft for all abilities. What do you think? Is this something you would give a go? What a great idea you made it look easy! 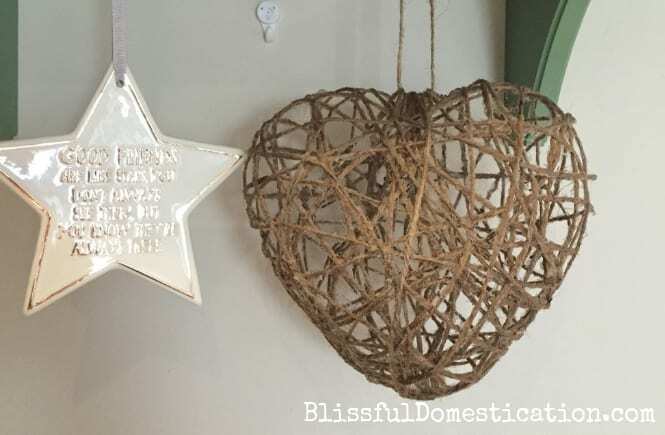 Thanks for sharing with #marvellousmondays I love crafts and this looks simple, inexpensive and something that will last a while. 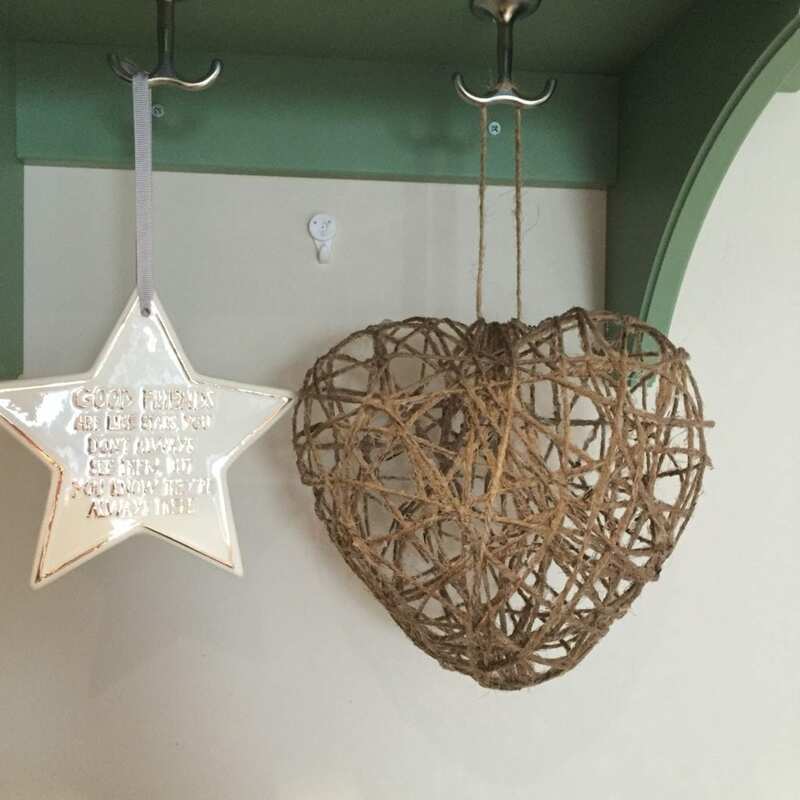 Love the idea of putting fairy lights in it. Thank you, it was really simple to do! Thank you! I’m going to try some other things too! Wow this looks so cute! I’m going to try this! 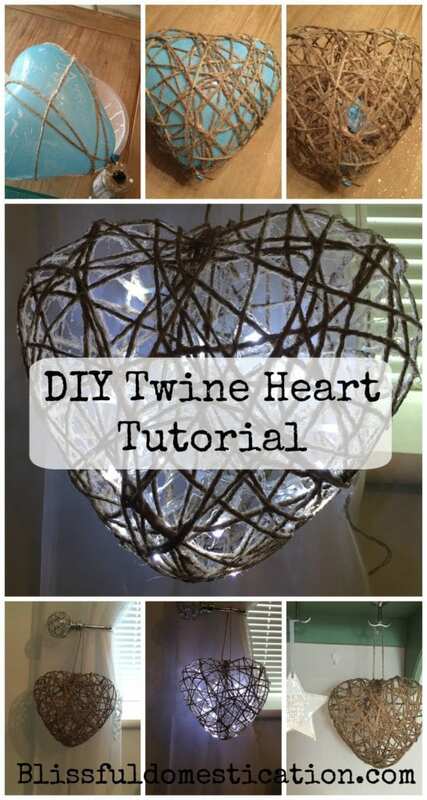 You could make lamp shades etc the same way too! 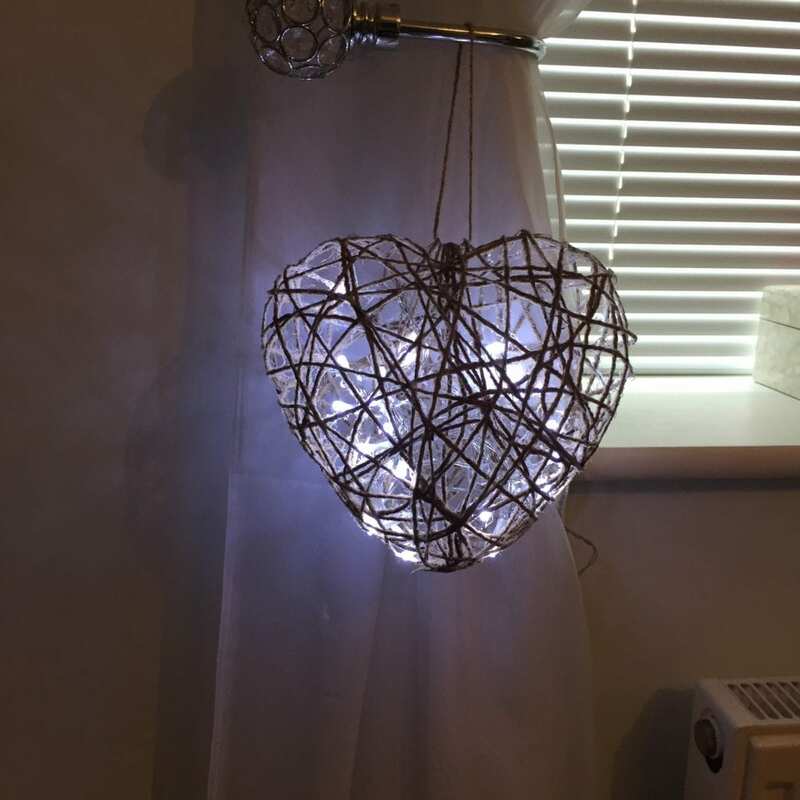 I going to try making little lampshades for a string of fairy lights for my bedroom, will keep you posted on how that goes! Thank you. 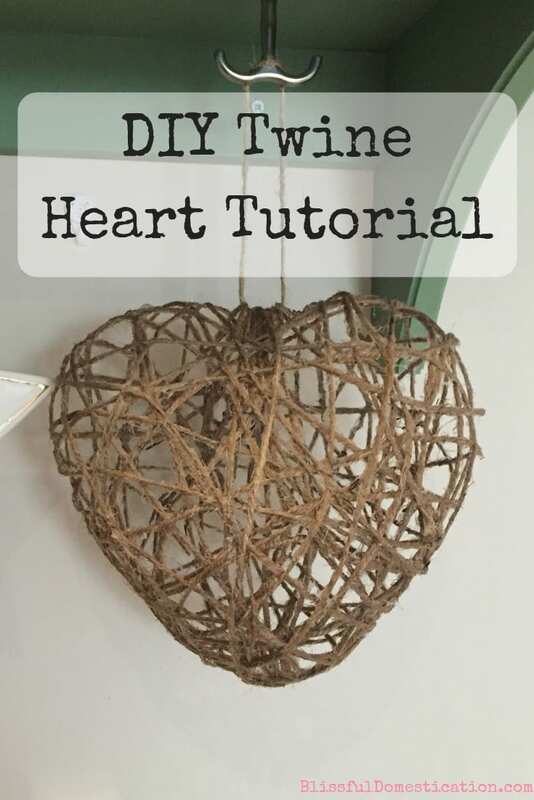 I am going to try and do some white twine smaller hearts for my kitchen, so watch this space! 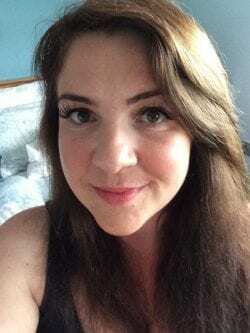 It is really easy, let me know how it goes if you give it a go! Thank you, and let me know if you give it a go!